I absolutely love the concept of this tag. This tag was created by my good friend Izzy, over on Izzy K and could there be a more perfect self-love tag than this? 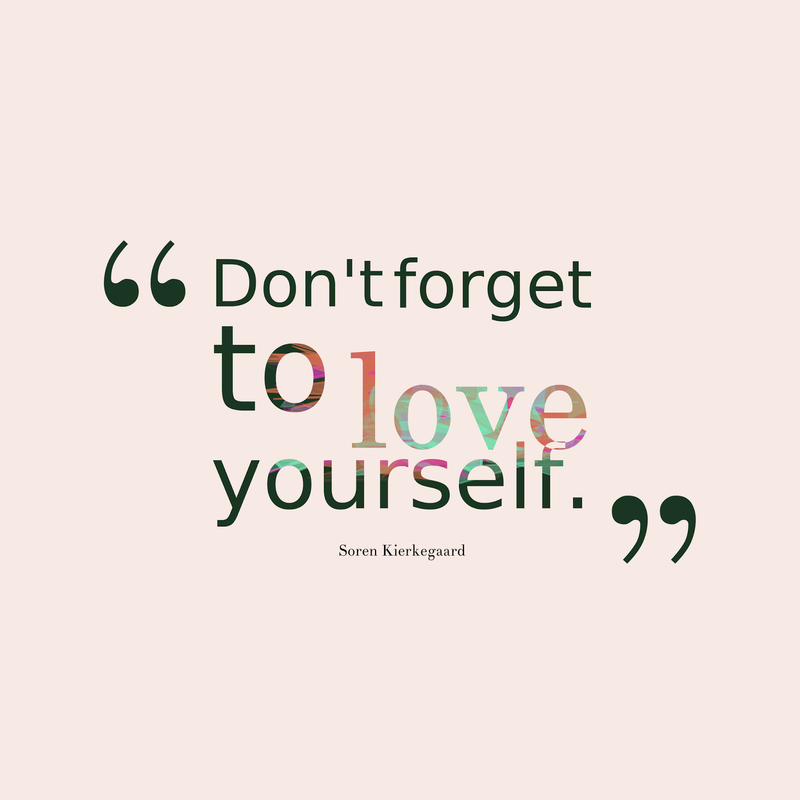 And let's be honest, we all need to be more proficient in self-love. I think the majority of people I talk to struggle with this and I know I'm in the same boat. We place a lot more pressure on ourselves to do everything and be everything when in reality, we are amazing just doing what we do. The aim of the tag is to give yourself credit where credit is due, especially if you feel your hard work is being taken for granted. The rules of the tag are quite simple. Basically, all you need to do is write down a list of things that you try really hard at, and explain why they take a lot of effort to accomplish. Don't worry about sounding cocky or like you're exaggerating, just say how you feel and let it out. Explain your efforts to the world because it's about time that we praise ourselves for our hard work. 1. I keep my household running. It's true. While I am one of the lucky people who has an amazing husband, things would not get done without me being there to instruct, support and carry out. Even if my husband is cooking, I plan out dinner. I make sure everything is de-thawed, chopped, stocked and can be found. I'm pretty sure we'd starve if it wasn't for me. 2. I might as well have 3 full-time jobs. I work 40 hours a week at what I guess I would classify as my real job. I'm also partners in a coffee shop that's opening up another one at the end of February. It's not all making fun drinks and talking to customers. There's the matter of inventory, accounting, marketing, employees and a whole other slew of stuff that comes from owning your own business. Rewarding? Yes. Hard work? Definitely! My husband and I also own rental properties. Have you ever had tenants? I like to equate it to a room full of elementary aged children whom you are expecting to be adults. We get constant excuses as to why rent is late, calls at 2 in the morning because they've locked themselves out (not, technically, our responsibility) and hissy fits when we have to be stern. I just want to note that these are, in fact, legal adults that we rent to. 3. Blogging. While I don't consider blogging a job, rather a hobby that I truly love, it is a lot of work. Trying to figure out how to be a photographer, social networker, web designer and writer is sometimes completely overwhelming. Since February, when I started my blog, I've posted fairly consistently and I can say I'm truly proud of that as I can think of a million excuses why I wouldn't have had the time to (see above). 4. I'm a good daughter, sister, wife, and friend. It's true, I am. I am often concerned about others to the point where I will completely disregard my own needs in order to help out my loved ones. I don't regret this, not one bit, because my loved ones are what's most important in my life. 5. I'm a positive person. This sounds relatively simple, but as we all know, it's not always easy being the person who sees the bright side of things. I feel like one thing I'm really, really good at is seeing the bright spot in a dark day. There's no doubt in my mind that you are a WONDERFUL person!! I love that you take time for others and what makes life tick for you. I'm glad in writing this list you can know how truly great and giving you are, even in this crazy, busy life!!! I hope you have a most glorious day sweet, special Kim!! Another coffee shop...how awesome! I am sure running your own businesses is very difficult but so rewarding too. You are one busy, and awesome lady! Go girl! I love this post Kim you definitely deserve to give yourself a lot of credit you work so hard at everything you do! Love you loads my gorgeous friend! You've got your hands full hon, and it is absolutely incredible how you manage everything! Kudos to you and your hard work & dedication!! I used to run my own business and had to stop a year ago because I moved countries to live with my hubby. I really miss it sometimes because it does give you that level of fulfillment and even though the responsibilities are great, it's good fun :) Oh boy, your tenants sound awful. Hubby and I are renting at the moment and we NEVER contact our landlady. Not that we don't ever have problems (one time the fridge just stopped working and on other occasion the lock to the back door didn't work), but we would never bug her nor approach her as if she's our "babysitter". Sad how some adults behave worse than kids. I adore this. 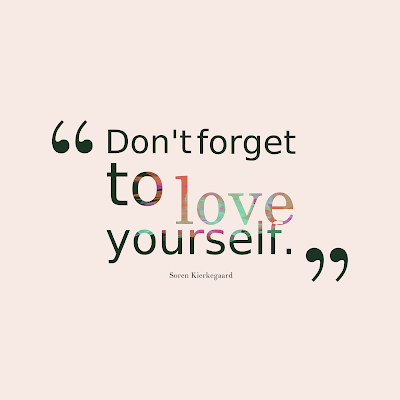 I am so down for self love - we all deserve it. I can really relate to number 1 - my boyfriend is a gem however without my gentle encouragement (lol) everything would pile up or be unorganised. I can also see why you wouldn't have time to blog - sounds like you have so much on, I would legit struggle to find the energy, as much as I love it. This was so cool to learn more about you! I had no idea you were such a talented business woman! That's awesome about the coffee shop and I can only imagine how "fun" it is at times to own rental properties-haha. My husband and I have debated doing this before and I'm a little skeptical just because people can be crazy. You're such a sweet person and beautiful on both the inside and out and I'm excited for all you have going on!